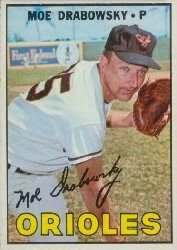 When the Baseball Hall of Fame opens a wing for pranksters, pitcher Moe Drabowsky will be a charter member. “My favorite Moe Drabowsky story was in Kansas City in 1969. Moe was famous for giving ‘hot foots’ to many a ballplayer. On this particular day, we were in the bullpen, which had a long wooden bench that ran from end to end. On this day, Moe talked me into getting under there and giving someone on the other end a ‘hot foot.’ Once I was on my belly and scooting down, Moe lit ME up! Coming Monday: Hedlund’s inspiring 1971 Vietnam visit to our troops.